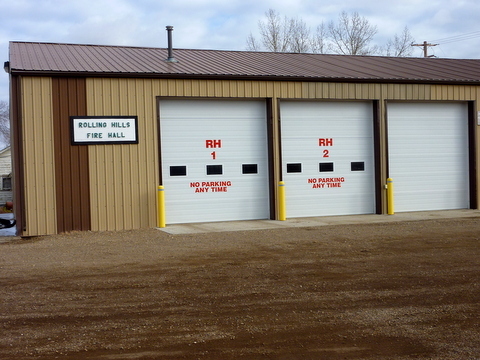 The Rolling Hills Volunteer Fire Department was formed in 1977 when a new pumper truck was purchased that year - the first actual fire truck the community had ever owned. Today, the fire department has a new crew cab pumper truck, a late-model tanker truck, full sets of modern turnout gear, and a good inventory of fire-fighting and rescue equipment. 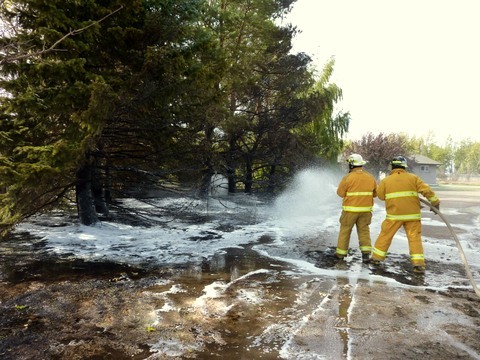 The crews are equipped and trained in the use of foams and other fire retardant chemicals to handle many different classes of fire. Crews are also trained in handling hazardous material, both in fire and vehicle accident situations. All trucks have been equipped with computerized navigation and mapping equipment allowing communication capability to connect with fire teams from other districts as well as central dispatch. 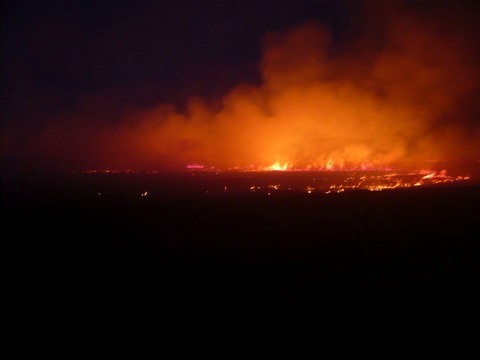 All emergency services personnel are supplied with personal pagers and are dispatched through the Provincial 911 system. The department recently moved into spacious, renovated quarters in the former Eastern Irrigation District shop. The building has storage areas for equipment, an office, a meeting and training room including bathroom and showers. 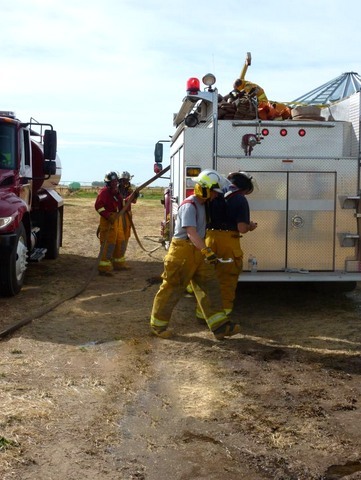 The crew receive regular training throughout the year and specialized training is offered on a regular basis at the fire training centre in Brooks. Several members have qualified as "first responders" and can be dispatched to accidents and medical emergencies in the area to deliver immediate assistance and comfort while waiting for ambulance and paramedics to arrive. New members are always welcome and initial basic training is offered during regular bi-monthly Monday evening practices.